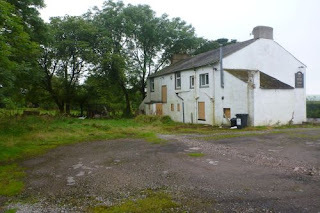 I've already written about buying ex-public property and former churches but lately I've noticed a new kid on the property block - redundant pubs. 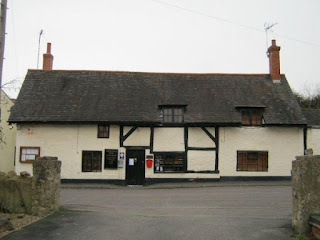 Well, not exactly new because we've been turning our pubs into houses and offices for donkey's years, but with 12 pubs a week closing there are rather more of them popping up on agent and auction lists. Former pubs are a good option - cheap for the size, already serviced and (usually) with living accommodation you could use while you renovate. Here are some interesting ones I spotted this week. The Sun Inn (above) sits on a good-sized plot in Arlecdon in rural Cumbria, not far from Cockermouth and the coast, with lovely open views. Downstairs is the pub area, complete with kitchen and cellar, and upstairs is three-bedroomed owners' accommodation. It's on the market through Penrith, Farmers' and Kidd, at offers around £110k - more details here. Graham Penny has the Grade II Listed Holly Bush Inn up for auction on October 18th (below) with a guide price of £150k plus. The 17th century former pub and restaurant includes owner accommodation on both floors and good-sized carpark and garden area. It's in the Leicestershire village of Breedon on the Hill, opposite the village green, around two miles from Melbourne. More property details here. At the opposite end of the renovation scale, how about this former village pub in Dundrennan, Galloway (below). The Crown and Anchor (as was) needs a full renovation job but it offers plenty of space to work with. Downstairs is the bar, the snug, kitchen and lounge; upstairs are six bedrooms and a bathroom. Outside is a parking area and large garden. Dundrennan itself is a pretty village with a fabulous ruined Abbey, around six miles from the harbour town of Kirkcudbright. 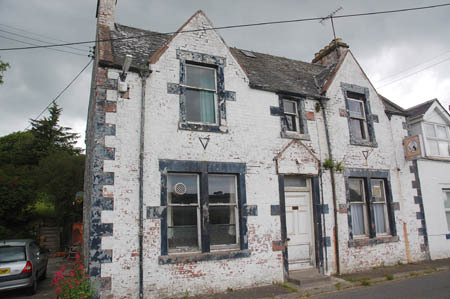 The property is on the market through DGSPC, at offers over £75k. More details and pdf here.